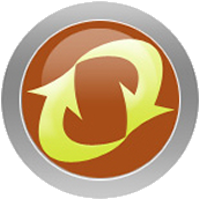 Zero Assumption Recovery 10.0.610 Technician Edition Portable ~ Apps2Portable | Free Portable Apps for PC ! Zero Assumption Recovery - Sometimes disaster strikes. Data can be lost due to many different reasons. Accidental reformatting, power spikes, virus attacks and hardware malfunction are some of the scenarios where you will find yourself looking for a data recovery solution. Zero Assumption Recovery provides a suite of highly effective and thorough data recovery software for Microsoft Windows operating systems. We pride ourselves on having created tools that stand out from the crowd - our do it yourself data recovery software is far more persistent than many of the other solutions on the market. Even when you think your hard drive is beyond salvation, ZAR Data Recovery carries on crawling - and ultimately achieves the result. ZAR Data Recovery is suitable for home users and small businesses who need a powerful data recovery solution for Windows FAT, NTFS, Linux ext/2/3/4, and XFS file systems. The default settings are reliable and thorough, but more technical users can benefit from a wealth of optional configurations. - Formatted drive or "RAW filesystem"